Moretti Motors began building motorcycles in 1925, and introduced their first conventional production car, the Cita, in 1946. 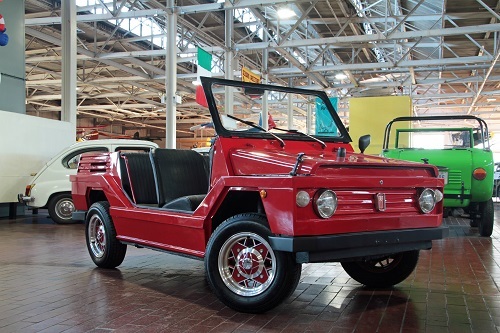 During the late 1950s, in an effort to maximize profits, Moretti ceased designing and creating their own vehicles. 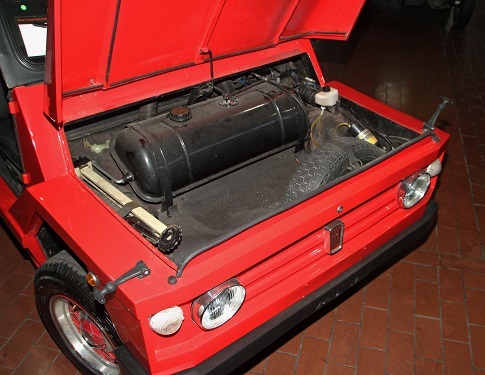 Instead, they switched to building special-bodied Fiats, using existing Fiat engines and chassis. During the 1960s and 70s, rugged utility cars had become very popular with the public in Europe. 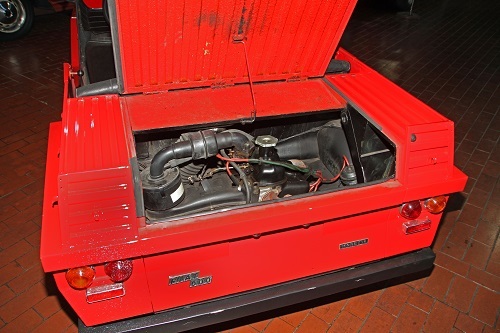 Manufacturers seemed to share a common design for these cars: take an existing model, strip it down to its most basic components, and market it as “rugged” and “fun”. Many of these Jeep-like vehicles were sold as convertibles, and a few had light off-road capabilities. 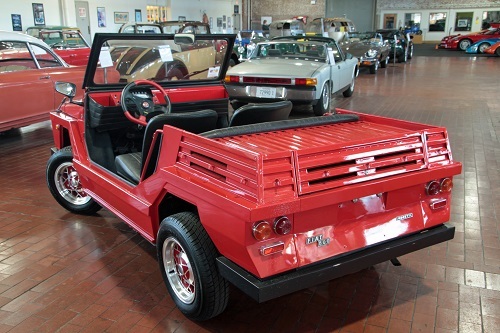 Vehicles in this category included the Volkswagen Thing, the Citroën Méhari, and the Mini Moke. 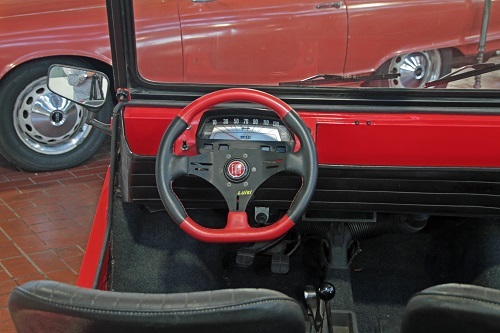 The Fiat Moretti 500 “Minimaxi” was a lesser-known car in this class. horsepower from 18hp to 25hp.